Product categories of Panasonic Printer Spare Parts, we are specialized manufacturers from China, Panasonic Printer Spare Parts, HP Printer Replacement Parts suppliers/factory, wholesale high-quality products of Panasonic Replacement Parts R & D and manufacturing, we have the perfect after-sales service and technical support. Look forward to your cooperation! Mactech offers high quality Panasonic Solder Paste Printer machine parts and accessories. We offer original-brand new, original-used, and high copy Panasonic Printer Parts. These products are made from high quality materials to ensure product quality and provide stable machine operation. 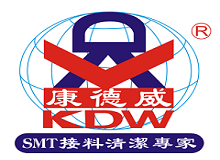 We also offer other SMT and AI machine parts for all SMT Machine brands and models. To learn more about our products, please visit our official website.